We had the chance to watch 11 young women, ages 10 to 12 play some serious basketball on January 17. 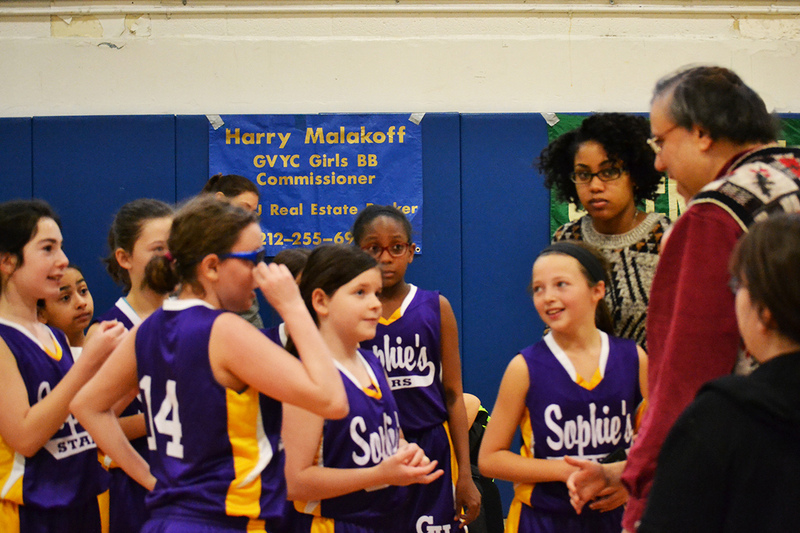 They are Sophie’s Stars for the 2015 season and come from all five Boroughs of New York to play in the Greenwich House/Malakoff Girls Basketball League. Their coaches Ashley Contreras and Dana Brown are justifiably proud of them, as you can see from our slideshow. Next up? Sophie’s Stars will scrimmage at half time at the Columbia-Penn women’s game on Friday, March 6, 7pm at Levien Gym on the Columbia University campus. 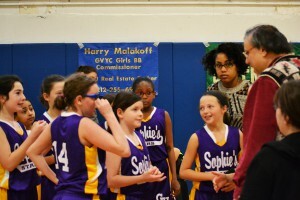 Then they will play in the Girls Basketball League Championships at Hudson Guild on Saturday, March 14th. Tagged Basketball, Columbia University, Girls Basketball, Greenwich House, Harry Malakoff, Healthy Youth, Hudson Guild, Sophie's Stars.